When it comes to good, old-fashioned TV advertising, I always remember the ones where they really show you the product working - like the washing powder adverts with two clear buckets of detergent or Pampers adverts where they pour blue coloured water onto a nappy to show you how dry it stays. I've always wanted to try it out and see if these products really work like the manufacturers say they do. 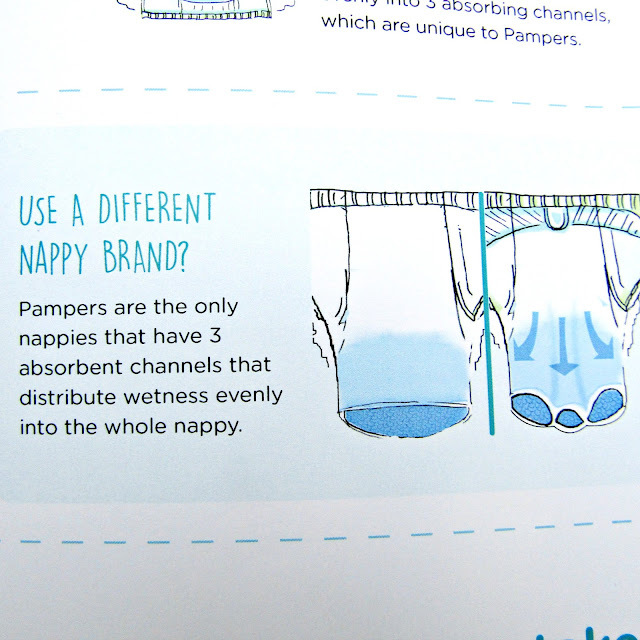 So I jumped at the chance to work with BritMums on the Pampers Baby Dry Challenge. Sad? Maybe, but I squealed when the box arrived with my testing kit! The challenge itself is pretty straight forward. 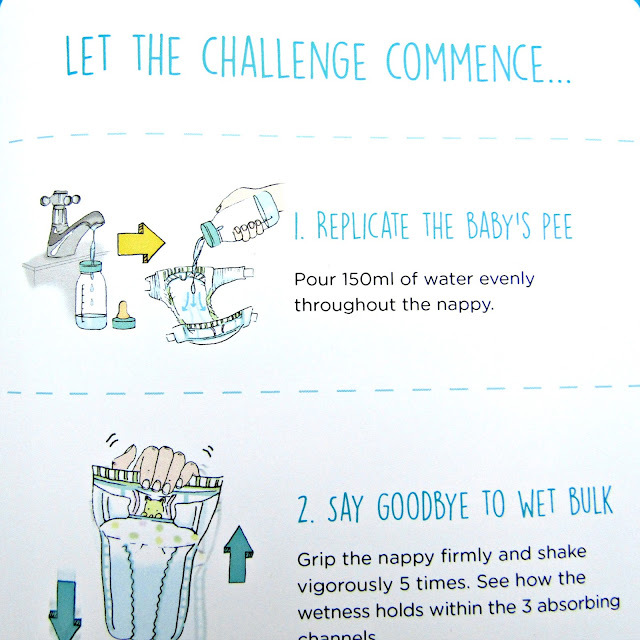 Using a baby bottle, you pour 150ml of water evenly over an open nappy, replicating your baby's pee. Then you give is a good shake about 5 times, open the nappy up and gasp in amazement check how dry it is. 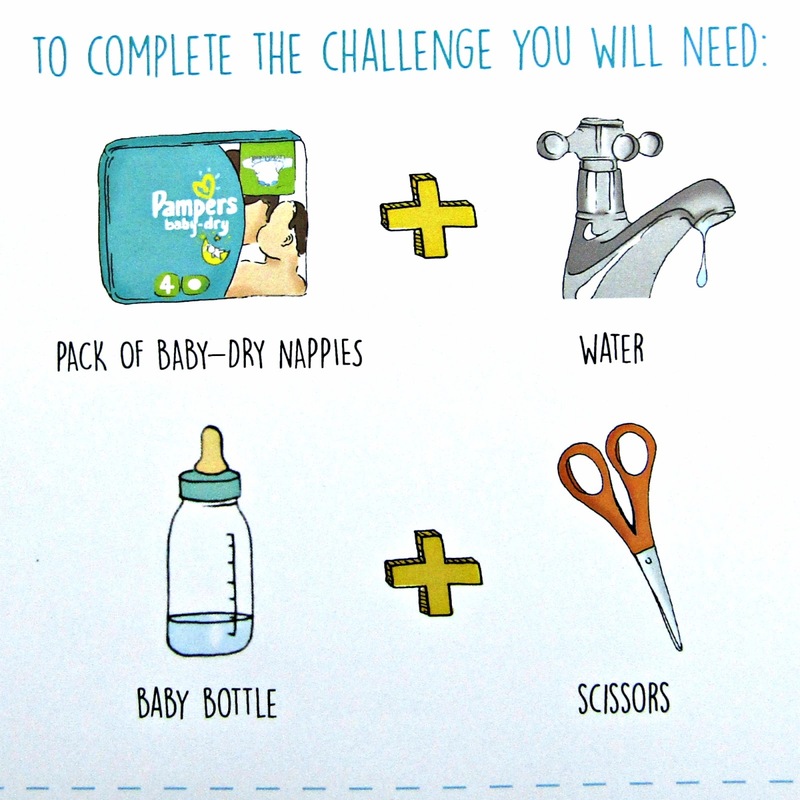 Then, as your mind is no doubt boggling at where exactly that much water went, you can use a pair of scissors to cut the nappy open to view the three clever channels that soak up all the liquid and stop it giving your poor little bubba a sore bottom. In the interests of fairness, I also tried exactly the same tests on two different supermarkets own brands. I did expect Pampers to come out on top, and they did but it was a close thing in dry-ness comparison between them and one of the others. However, the supermarket own brand that stayed dry has the worse sticky tabs on the side - they're always coming undone whereas Pampers stay put! I know Pampers are usually more expensive than supermarket own brands, working to a budget, I'm not a loyal nappy brand follower - I'll go for whatever deal is best at the time. But taking this challenge has made me think more about whether it's worth spending that tiny bit extra to get a decent dry nappy. Review - Win a Baker Days' Cake!